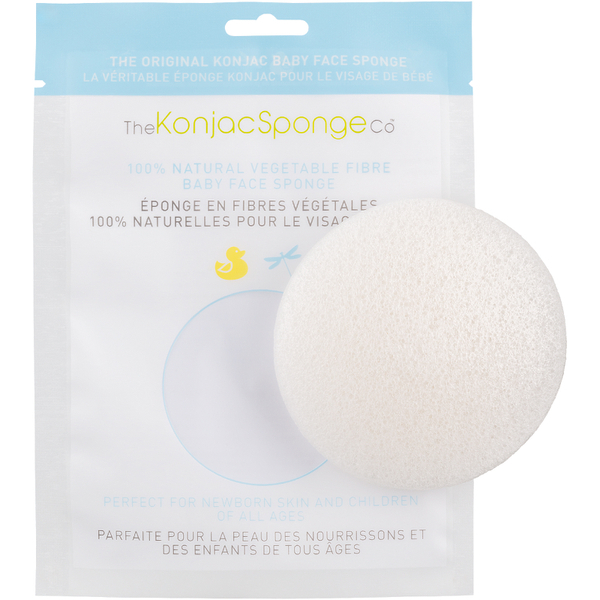 The Konjac Sponge Company presents the Baby Face Sponge, a 100% natural product specifically designed for cleansing sensitive baby skin without the need for harmful chemicals or additives. Delicately handmade purely from moisture-rich Konjac plant fibres and Volcanic Water, the compacted sponge is perfectly sized for newborns or premature babies and offers extra gentle cleaning. The innovative biodegradable sponge has a unique net-like structure that turns silky soft when wet and works to eliminate dirt, bacteria and impurities. Lasting for up to 3 months, the sponge is ideal for children suffering from eczema or inflammation to soothe and calm. Or you can even use it as an extra step at nappy changes! It’s the perfect choice for completely natural, pollutant and chemical free cleansing.